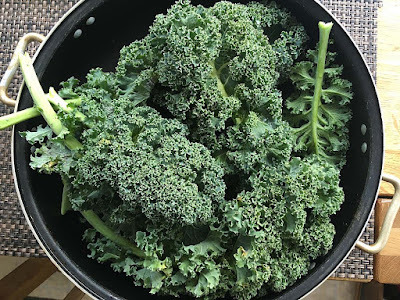 I wonder, do you have problems with aphids in your kale, or does the cold weather keep their numbers down? I don't grow curly type kales anymore because the aphids just love it to death. Hi Michelle, Yes lots and its been terrible that I may decided not to grow brassicas again or at least make an effort to net them. These did okay as they went out into the ground late but those that went in early were ravaged by the aphids and the butterflies! I was surprised too Sue. Lucky you not to have to travel.. and doesn't a vege garden look beautiful in snow! Thanks Johanna. I think I prefer it cold than muggy and hot. Its been a while since I have had understanding employers, the last place I worked I had to take annual leave even though I genuinely could not travel to work as transport was cancelled - cheeky buggers still got to go home in the afternoon as they lived local. We got about the same amount of snow as you! And it was gone quickly. 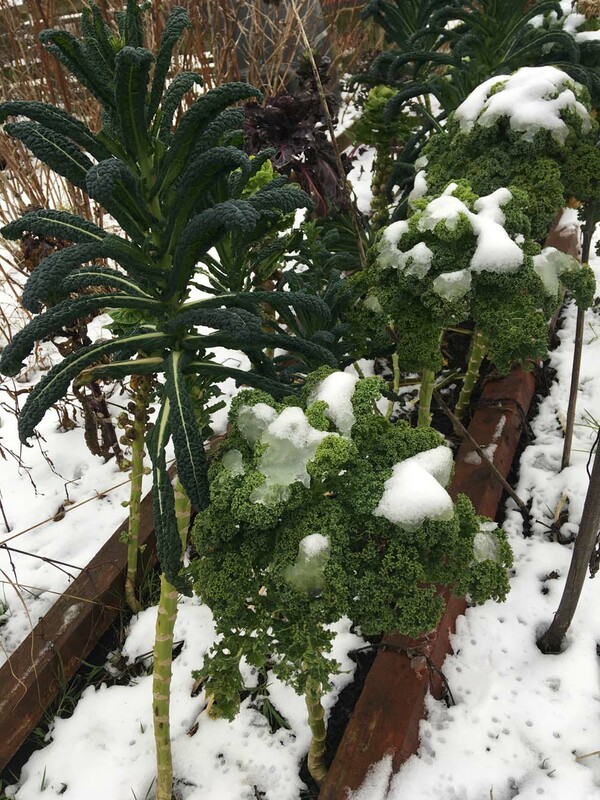 It's good the kale managed to stay standing up under the snow too. It's such a hardy green, along with Swiss chard. Thanks Dave. 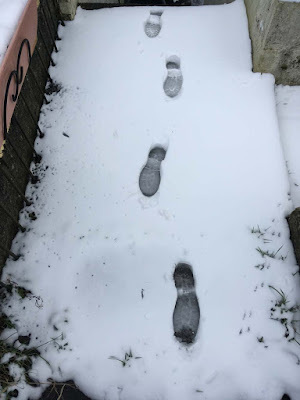 The snow lingered here for at least three days. I am surprised with the chard. 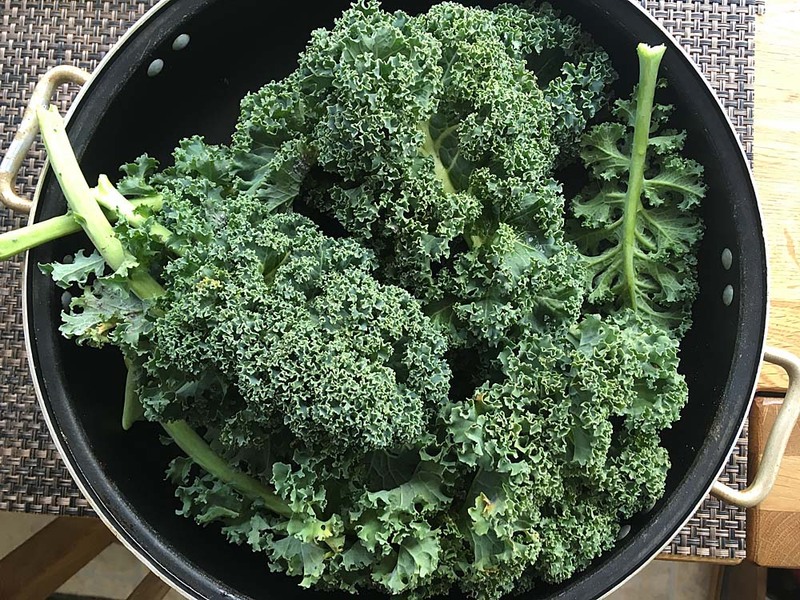 I love curly kale, please do grow it - but please net it the butterflies will lay eggs all over it otherwise and the aphids will cling on. Thank you Teresa. We don't get collards easily in the UK, only in large cities where there are diverse ethnic communities. 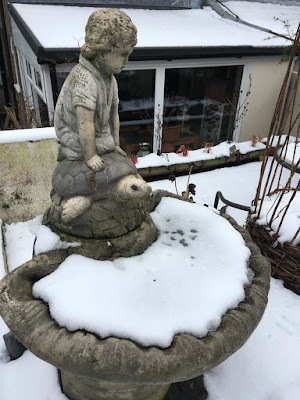 I always wonder how two flakes of snow disrupts UK travel, but in countries like Finland where they have proper snow for lots more of the year, they seem to be able to keep everything running? 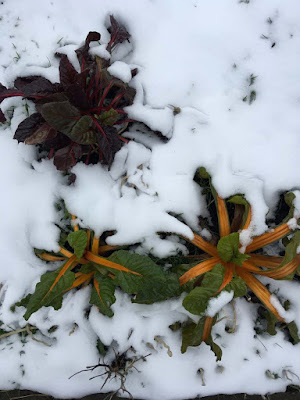 Good to see the kale and chard managed to keep going despite the white stuff! Yeah pleased with the kale and chard still thriving in the garden plot.